Tony Whieldon is a traditional artist who has been drawing, painting and fishing since he was a boy. His passion for angling and art has made him one of the world's most revered fish artists and an authority on both fishing and painting. He has written and illustrated several books on fishing and has produced articles, illustrations and cartoons for angling books and magazines. 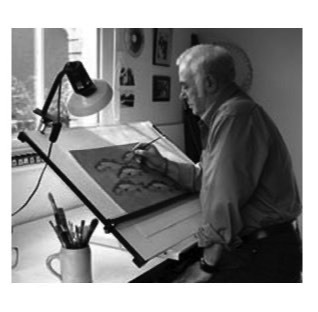 Much of his art is as yet unseen - a collection of fish and English landscape oil paintings, watercolour, pen and ink, graphite pencil and charcoal works. The Devon fields, ancient hedgerows, old farm buildings, voluminous trees and cloud-laden skies of Tony's work is reminiscent of the paintings of the old masters. Simply Coarse Fishing is an exquisite little book about coarse fishing, covering in very visual terms everything a new angler needs to know. It will be one that is passed from generation to generation.